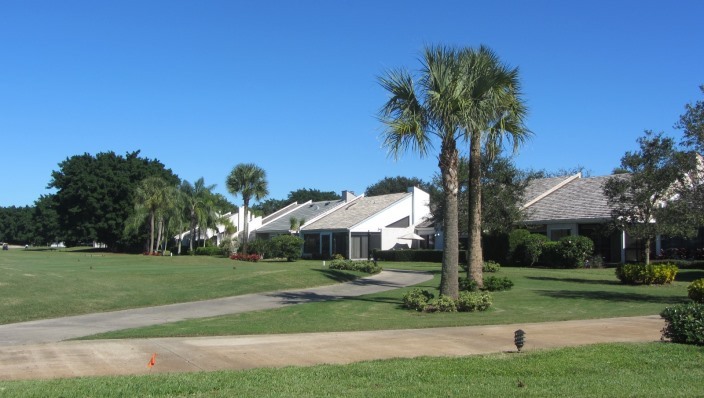 The lush 12th fairway is the backdrop for most of the neighborhood of Windward Village in Jupiter, Florida. This town home neighborhood in Jonathan’s Landing is close to the northern access roads to the community making it convenient to local shopping, dining, beach access and more. Home to only 40 villas, Windward Village properties are adorned with tropical landscaping and each unit has a private screen enclosed patio in the rear and a private walled courtyard in front. 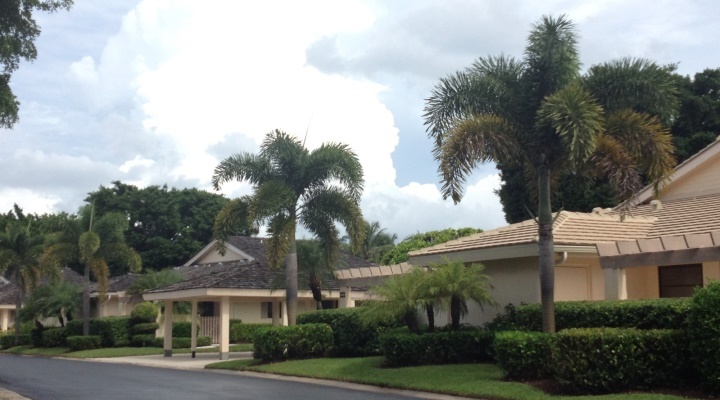 Windward Village townhouses have spacious layouts with carports and golf cart storage. 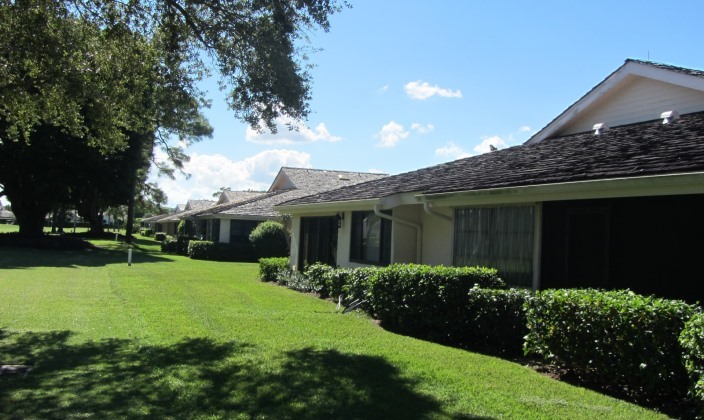 Floor plans for these charming golf villas are between 1500 and 1800 square feet under air. 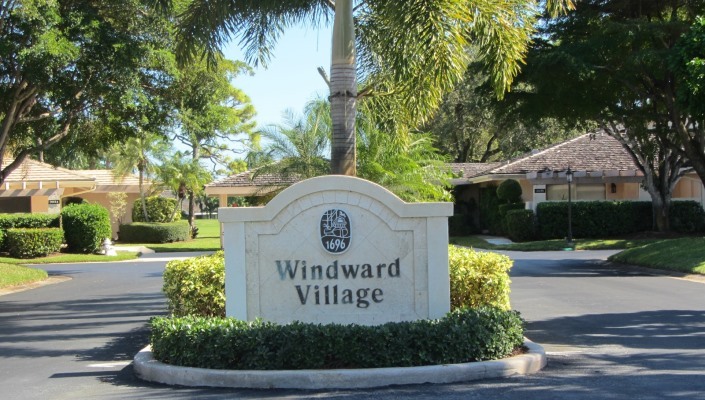 Windward Village in not only a great place to live, but ideal for seasonal renters and make great investment property.